UPDATE: Election night results are in. Check them out under Local Measures and Local Candidates. Voters in Del Norte County are deciding on two local measures as well as positions in the Crescent City Harbor District, the Crescent City Council ( 2 seats available), the Del Norte County School Districts 2 and 5 for the Trustee position, the HDC CSD (2 positions available), the Smith River Fire Protection District (2 seats available) and the Del Norte County Fairgrounds Recreation & Parks District (3 seats available). According to the Del Norte Triplicate, the number of outstanding ballots still outweighs those that have been brought into the Del Norte County Elections Office. The Triplicate also reports that County Clerk-Recorder Alissia northrup said she expected the office to have close to 4,000 mail-in ballots by 5 p.m. So far they've received 4,015 ballots out of 8,958. A quick reminder: the polls in California are open statewide from 7 a.m. to 8 p.m. If you are in line at a polling station at 8 p.m. you are still allowed to cast your vote. Check your voting location here. Conditional voters can also find their polling locations here. UPDATE: Measure B early election results show 62 percent YES votes and about 37 percent NO votes. Also known as the Del Norte County Marijuana Business Tax, Measure B will, if passed, authorize the county to tax marijuana businesses at designated rates to fund general city purposes. The rates include a 2-6 percent of gross receipts for non-medicinal retail, a 1-3 percent of gross receipts for manufacturers, a $1 per square foot fee for outdoor cultivation and a $3 per square foot fee for indoor cultivation. The Board of Supervisors shall set the specific rate by resolution and all taxes imposed by the ordinance are considered general taxes, which may be spent for unrestricted general revenue purposes. You can read more about Measure B here. UPDATE: Election results show close to 55 percent YES vote and 45 percent NO vote. Measure C is also known as the Del Norte County Hotel Tax Increase for Crescent City Harbor District. The measure will authorize the county to raise the local hotel tax from 8 percent to 10 percent to fund debt repayment for the USDA disaster loan issued after the 2006 and 2011 tsunamis. The measure was designed to use hotel tax revenues for further harbor repairs. Check out more information on Measure C here. UPDATE: Election night results show Shepherd ahead with close to 36 percent of the vote. White with clsoe to 32 percent, Phillips with close to 18 percent and Bailey with 14 percent. Candidates for the habor district commissioner include Patrick Bailey, Ronald Phillips, Carol White and Rick Shepherd. You can check out their political or informational websites here, here, here and here. UPDATE: Incumbent Inscore is ahead in the votes with close to 43 percent of the vote. Challengers Wright has 34 percent and Cervantex has close to 23 percent. Candidates for city council include Blake Inscore, Tony Cervantez and Isaiah Wright. Political websites and information on each candidate can be found here, here and here. UPDATE: Incumbent Greenough is ahead with 66 percent of the vote. Challenger Casas has close to 34 percent. Candidates for district 2 include Angela Greenough and Vidi "Kris" Casas. Information on these two can be found here and here. UPDATE: Forkner is ahead in the votes with close to 54 percent. Wortman has 46 percent. Candidates for district 2 include Jaime Forkner and Janet Wortman. Information on these two can be found in coverage by the Del Norte Triplicate here. Candidates for the HRC CSD include Mark Ephland, Richard Gugliemini and Sally Sarina. The most recent information on the HRC CSD was published here. UPDATE: Flowers leads with 30 percent of the votes. Moorehead also leading with 25 percent. Fallgren at 24 percent and Phillips at 21 percent. Candidates include Elaine Fallgren, James E. Flowers, Melissa S. Phillips and Darell Moorehead. The Smith River Fire Protection District is at 245 North Haight Avenue in Smith River California. Fallgren and Flowers currently hold the positions as incumbents. UPDATE: Westbrook and Wakefield both at 31 percent. Renner at 26 percent and Sutter at 11 percent. Candidates include Steven Westbrook, Douglas Wakefield, Sabina Renner and Linda Sutter. All but Sutter are running as incumbents. According to the Del Norte County Municiple Services Review, the Del Norte County Fairgrounds encompass approximately 87.3 acres in the community of Crescent City, California, adjacent to U.S. Highway 101. The site includes a number of buildings, arenas and other structures principally intended to serve the production requirements of the annual county fair, typically held over 4 days on the first weekend in August. In addition, the fairgrounds accommodates a variety of non-Fair functions throughout the year, including special events in the buildings and arenas. 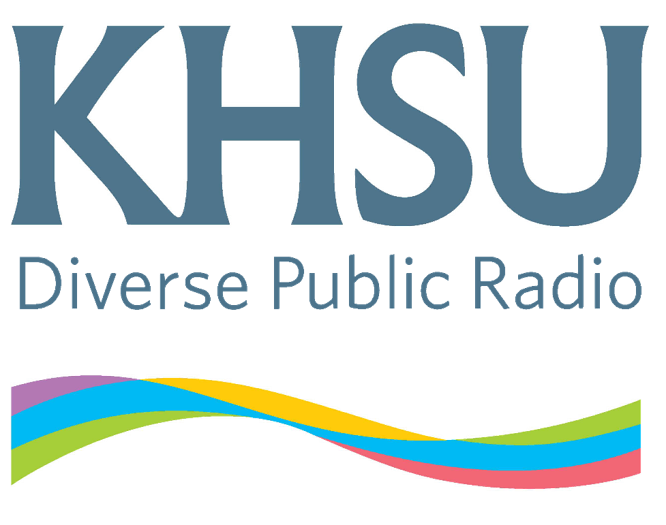 KHSU will update with election results as soon as they are reported. On this segment of Food For Thought, Jennifer Bell connects with Erica Partee and Ben Zemeda about Food Forests and providing ecologically rich and productive gardens and farms for community members in Del Norte and Tribal Lands. KHSU's Natalya Estrada reports on the Caltrans Risk Assessment open house in Crescent City. Stakeholders and agencies involved with Last Chance Grade answered questions and presented new options for the project at a public meeting on Thursday July 19, 2018. Thousands of cars pass through this four mile stretch of highway 101 every day. The area is just south of Crescent City and its part of a regular commute for residents and travelers in Del Norte County. It’s known as Last Chance Grade and it’s notorious for slide activity. While it’s constantly under maintenance and monitored with geotechnical equipment by Caltrans, some residents feel like it’s only a matter of time before the road literally falls into the ocean. A crumbling stretch of Highway 101 south of Crescent City threatens to sever Del Norte County from the North Coast. Congressman Jared Huffman says stakeholders must unify behind an a single alternate route before seeking federal transportation dollars. The North Coast Journal reports replacing Last Chance Grade could cost up to a billion dollars, and likely won't be completed before 2039. Jan Moorehouse and Susan Andrews report on news from Del Norte County. 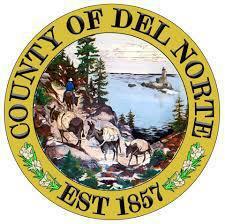 Del Norte is looking over the border at how Brookings may tax its three marijuana dispensaries. Del Norte High School football team celebrates a win over Yreka. Coastal Conservancy funding is in place to create a coastal access overlook point at Howe drive. Local "Find Your Park" efforts provided various recreational opportunities. Following the devastating 2011 earthquake and tsunami in northeast Japan, a small boat belonging to Takata High School in Rikuzentakata was swept out to sea. It reached the shores of Crescent City two years later. Del Norte High School students cleaned the boat and returned it to Takata High School. That was the start of a relationship between the two schools - and ultimately the two cities. Crescent City and Rikuzentakata have now formally established a sister city relationship.